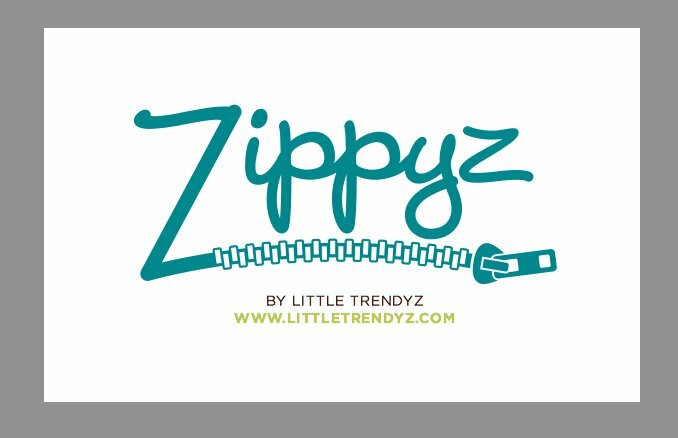 Zippyz by Little Trendyz is a company that was created by a mom who was frustrated with the onesies and footed pajamas on the market. Lisa Youngelson came up with the idea when she was tired of dealing with late night changes that left her baby boy Ryan with a cold and exposed chest during changes. Lisa realized that she was not pleased with either kind of newborn pajama on the market; the snaps were hard to line up, the zipper was leaving his chest cold, there just had to be an easier way! And then there was.. Lisa created the Zippyz in 2010 as a combination of both pajama styles. With three snaps on top, and a zipper from foot to belly, babies stay warm while getting changed. Zippyz are made from a combination of organic cotton and bamboo making the pajama soft for babies and eco-friendly. Take a look at how Zippyz work below. This product is geared towards new parents and new babies. With its easy to use changing abilities, it cuts the changing process in half, and with the soft material, parents don’t have to worry about the material that they are dressing their babies in. The product is the company’s biggest strength. Since there is no other product like this on the market, Zippyz can capitalize on this opportunity to become a household name. At this time there is a lack of product awareness and brand recognition which can be changed through an integrated marketing campaign (IMC). In order to truly build awareness and recognition, creating an IMC strategy that integrates the same branding and messaging through different channels will help Zippyz be seen on a larger scale. At this time, the biggest threat to Zippyz would be a more established company creating a similar product for a lower price point. At $25 a pair it is a product that is geared towards middle class families. Due to the potential for growth that Zippyz is exhibiting, I would suggest a major overhaul of all social media channels in order to create consistent brand imagery. I would implement a #zippyz hashtag in order to be found easier across all channels, as well as start using channels more frequently. By posting more consistently Zippyz will be found much quicker and with a higher search ranking. Including a blog in the campaign will be especially important, with a blog that is consistently being updated more keywords and tagged words will boost rankings and being found. In order to not have to wonder about what to post about, I would take the approach of a “parent” blog. Reaching out to other parents who have good baby products that aren’t being recognized and having them guest write, as well as offer tips and advice for new parents. A nice mix of advice and product referrals will really help the brand Little Trendyz become much more recognized as a go-to source for parents. Another great way to increase awareness would be to hold contests and promotions where people can win one of the products. This would increase shares and likes depending on the contest. In order to make the process of posting on various platforms easier, I would implement a tool like Hootsuite. By using Hootsuite for posting could be planned in advance on a weekly basis in order to save time. It would also allow one place to check and track interaction with followers instead of jumping from platform to platform. Using an IMC will help take a great product farther, faster. By integrating the brand through the various platforms, Zippyz can quickly become a household name. Just wondering how did you stumble upon this product? How did it get in your newsfeed? Did you seek it out? Reading this post, it seems as if you have mastered Hootsuite, me not so much yet, but I have been navigating around. Anyway you sound like an expert you should reach out to Zippyz . Thank you so much for commenting! A Professor of mine knows the owner, Lisa and had us look at the company critically for the final. We are reaching out to the companies that we selected, so hopefully Lisa will like this as much as you! I am really impressed by this product and would love to see it gain the awareness and notoriety that it deserves! As far as Hootsuite, Darleen are you using the paid or free version? I have noticed the free version has more restrictions when it comes to reports and that can become confusing. Let me know if you have any questions!